This new website uses many modern web technologies and scripts to make things happen as smoothly and efficiently as possible. It should work for every operating system and every type of device, be it mobile, tablet or laptop computer. To order a book simply click on any book cover on the home page and you will be taken to that particular book's product page (as seen below). To the right you will see a larger image of the cover and underneath that, you will see the price and a button that reads 'add to basket'. Once you click on 'add to basket', a panel should pop into your screen from the right with all the purchase details. 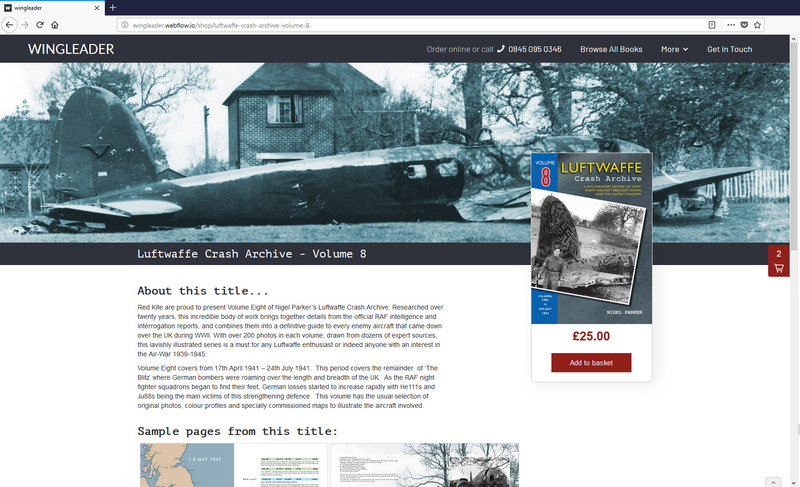 If you are finished shopping then please follow the instructions in the panel, if you want to buy further books, please just click back onto the book page and the shopping basket will become a small tab on the very right of your screen (as seen below). It is possible that in a very small number of cases, some people have ad or pop-up blockers that interfere with the price and 'add to basket' button. If these don't appear on your screen then try using a different browser and if the problem still persists, please get in touch with us.